The major highlight of the tour is of course Lumbini lying in south-western Nepal, where Gautama the Buddha was born in 623 B. C. Because of Buddha’s birth, Nepal has remained a holiest pilgrimage of Buddhists from around the world, like the Mecca of Muslims and the Jerusalem of Christians. Gautama was born the prince of a powerful king Suddhodhana, belonging to Shyakya dynasty. At the age of 29, he set out from his palace to find out the cause of disease, old age, and death that take tolls in every human’s life. Mediating under a Peepal tree in Kushinagar, India, he got enlightenment, became the Buddha (meaning the wise) and started preaching the principle of nonviolence and the eightfold path of truth, thus becoming the founder of Buddhism. A number of research works and excavations carried out in the place have shed light upon many aspects of Gautam Buddha’s life. Among them are the pillars erected by the Emperor Ashoka, who visited Lumbini in 3rd century B. C., and built three pillars in the areas around Lord Buddha’s birthplace. These pillars and the inscriptions in them have verified beyond any doubt and questions that this was the place where Buddha was born. Moreover the ruins of the ancient palace and the marker stone, marking the precise place where Buddha had touched the earth, have also been discovered. Buddha’s birthplace Lumbini is now registered in UNESCO World Cultural Heritage sites list. As you visit Lumbini, you will see the exact birthplace of Buddha. You will also see the pond where his mother Mayadevi had taken a dip before his birth and where he was given the ritual bath after birth. You can also go to the place where he stayed as a prince in the capital of his father’s kingdom before abandoning his palace to become a monk. The Buddhist Spiritual Tour we have designed gives you ample insight into the founder of one of the world’s greatest religions. 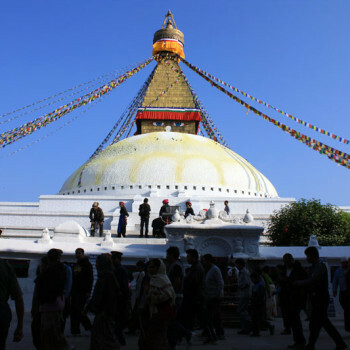 It also covers all major Buddhist monuments related to several dimensions of Buddhism and to Buddha’s earlier life like Namo Buddha, Swyambhunath, and Boudhanath.